China has attacked the Trump administration's decision to launch an investigation into some of its trade practices. The Chinese Commerce Ministry on Monday issued a statement expressing "strong dissatisfaction with the U.S. approach to unilateralism and protectionism." 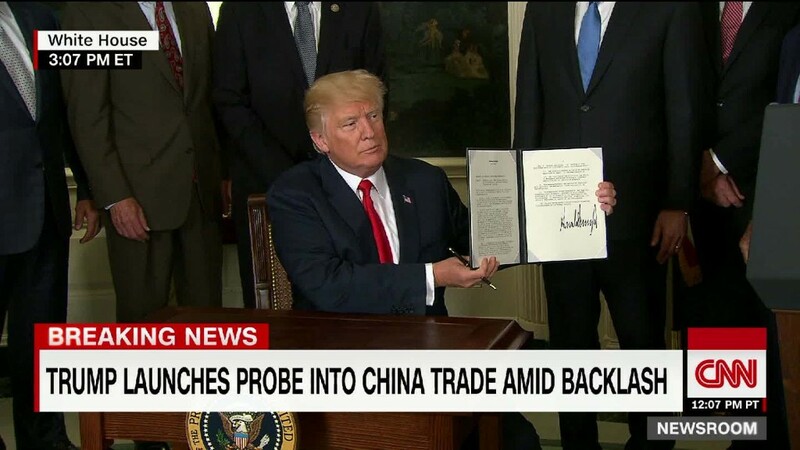 Following a request from President Trump, U.S. Trade Representative Robert Lighthizer on Friday announced he was formally starting an investigation into whether China is unfairly getting hold of American technology and intellectual property. "After consulting with stakeholders and other government agencies, I have determined that these critical issues merit a thorough investigation," Lighthizer said in a statement. Based on a U.S. trade law from 1974, the probe appears set to strain relations between the world's two largest economies. 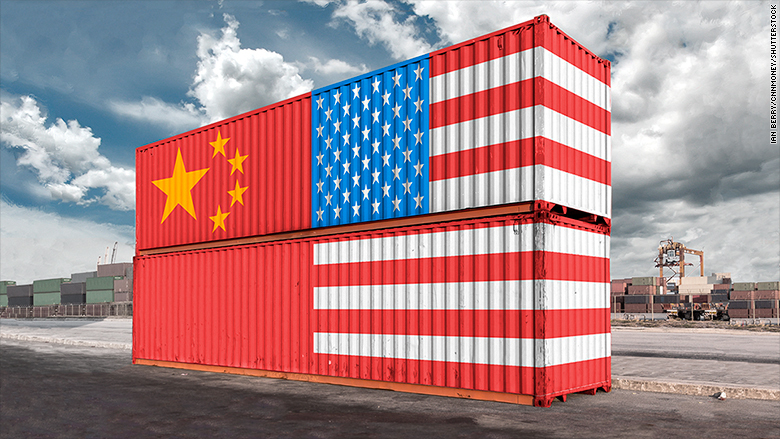 It's expected to last at least a year, but could eventually allow Trump to impose tariffs on Chinese imports or take other punishing trade actions. Trump has struggled to follow through on his combative rhetoric on trade with China during his campaign. Rather than confrontation, he has opted for negotiation while seeking Beijing's help in efforts to rein in North Korea's nuclear weapons program. But he has voiced frustration with the lack of progress in recent weeks. The Chinese Commerce Ministry said it was "irresponsible for the U.S to defy World Trade Organization rules and to investigate trade with China in accordance with U.S domestic law." It said China will "closely monitor the progress of the investigation and will take all appropriate measures to safeguard its legitimate rights and interests." By focusing specifically on alleged Chinese theft of U.S. intellectual property, the Trump administration is acting on a complaint expressed by a wide array of American companies that do business in China. China is accused of trying to take shortcuts to help its domestic industries by spying, hacking or forcing companies to share sensitive commercial information, like software code or product designs. The Chinese Commerce Ministry disputed the accusations, saying they aren't "objective." When big companies set up operations in developing economies, it's not unusual for them to share some of their technology with their local partners and employees. But critics say China takes things too far by effectively making the handover of sensitive information a precondition for gaining access to its huge market. They say it's using its economic clout to give Chinese firms an unfair advantage.